Trainer John Kettle will be in touch the night beforehand to finalise meeting time, place and training venue based upon the day’s forecast. If you have any questions about the workshop please contact John on ask@johnkettle.com or 07764936802. 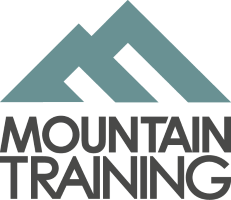 This workshop will look at the skills and judgement required to manage two clients in a variety of mountain terrains up to grade 2/3 scrambles. It will cover an understanding of fundamental techniques, using as much graded ground as possible in both ascent and descent. There will be an emphasis on good judgement and decision-making as well as technical skill. Trainees should bring: 50m single rope, scrambling gear rack, personal climbing equipment, boots.